American Financial Benefits Center: Why Are Most Americans Unsure About the Dream? 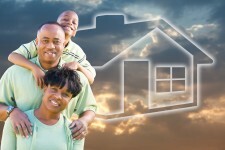 EMERYVILLE, Calif., August 31, 2018	(Newswire.com) - A slight majority of Americans, 52 percent, are not optimistic about achieving the American dream of owning a home and attaining financial security for themselves and their family, according to a recent study by MassMutual. Over 17 percent of the adults in the U.S. hold student loan debt that averages over $34,000 per person. That $1.52 trillion of debt owed by 44.2 million people is weighing down the confidence of many individuals. 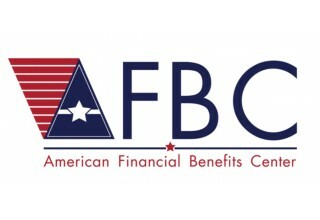 American Financial Benefits Center (AFBC), a document preparation company, helps finds solutions for those struggling with student loan debt, guiding its clients into federal programs, such as income-driven repayment plans (IDRs). Though a strong majority, 70 percent, of individuals felt the American Dream was alive and well, their hopefulness about their ability to achieve it was less robust. As well as student loan debt, respondents were also very concerned about their ability to pay for the care of a loved one, usually a parent, in-law or spouse, as they became elderly. This care, estimated at roughly $7,000 per year is nearly 20 percent of average annual income. In addition, nearly 30 percent of Americans have less than one month of expenses saved and more than two-thirds of people were not confident they were doing a good job of preparing for retirement. Credit card debt remains stubbornly high, with 56 percent of people reporting they owed nearly $10,400. The 2008 market crash is also blamed for persistently lowering output by about seven percent, reducing the earning power of all Americans. For those facing reduced earning power due to student loan debt, AFBC can assist with the IDR recertification process, making sure documents remain up-to-date.